Scott Brenton is Co-Founder & Chairman of Orr Fellowship. Professionally, Scott serves as Vice President of Ambulatory Services at Indiana University Health. As Vice President of one of the state’s largest employers, Scott oversees a vast array of health care services that take place outside of the traditional hospital setting. Scott's dedicated team of approximately 700 professionals delivers Home Care, Hospice & Lifeline Critical Care Transport services (just to name a few) in a geographic area that covers nearly two thirds of Indiana's population. 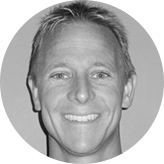 Scott has also been deeply involved in the Indianapolis technology and startup community. Beginning at Angie’s List in 1998 as Chief Operating Officer, Scott helped grow the company from fewer 15 team members and $1M in revenue to more than 1000 team members $100M. While at Angie’s List, Scott & his two business partners shared a vision for a program that would attract, develop, and retain the next generation of business leaders and entrepreneurs; thus, Orr Fellowship was born. Scott has remained passionate about Orr Fellowship’s mission and continues to serve as Chairman of the Board. In addition to his important role with Orr Fellowship, Scott has served as an advisor for Sigma Chi Fraternity and numerous small businesses in central Indiana. Scott is a proud Boilermaker, having attended Purdue University for his undergrad before receiving his MBA from Harvard School of Business. Outside of work and Orr Fellowship, Scott enjoys spending time with his family as a father and as a coach. He is also a competitive cyclist.